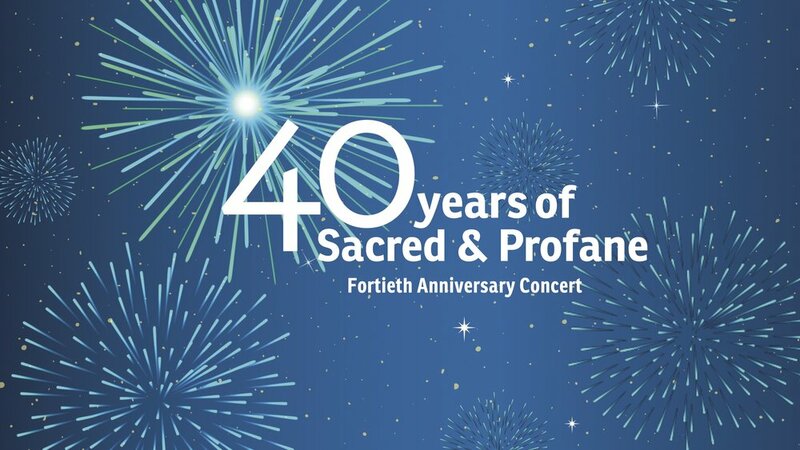 Celebrate Sacred and Profane’s fortieth year of bringing exquisite concerts to the Bay Area with a program of masterpieces for a cappella choir! This concert will feature the Estonian composer Veljo Tormis’ Curse Upon Iron, a powerful work about the cultivation of iron as a vehicle for both ancient and modern warfare, as well as Arvo Pärt’s antiphon for peace, Da pacem Domine. For the first time in many years, we will sing our namesake work– Benjamin Britten’s Sacred and Profane: Eight Medieval Lyrics, the last piece that Britten composed for professional a cappella choir. Finally, we are delighted to conclude our season with the world premiere of a new work commissioned from the compelling Swedish composer Karin Rehnqvist. Please join us for this musical celebration, with a pre-concert conversation with Karin at 7:45 PM and a reception following each of the Bay Area concerts on the 11th and 12th! 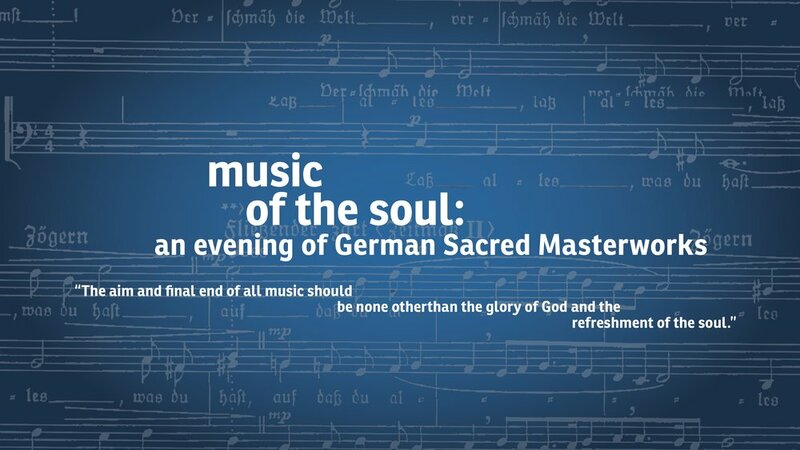 German composers have given us one of the most significant bodies of Christian sacred music, from the brilliance of J.S. Bach and his family, through Mozart, Brahms, and beyond. We will sing Bach’s motet Sei Lob und Pres mit Ehren -- which was falsely attributed to another composer for centuries -- and Brahms’ motet Warum ist das Licht gegeben dem Mühseligen, considered his greatest sacred a cappella work. We are alsothrilled to present Hugo Distler’s dramatic Totentanz, a passion play in which Death spars with his victims, and we are excited to include American Conservatory Theater actor Paul Finocchiaro performing the part of Death. This grand program will also feature Clytus Gottwald’s arrangement for 16-voice choir of Mahler’s Rückert Lieder, no. 3: Ich bin der Welt abhanden gekommen, one of the composer’s most moving works for voice and orchestra. 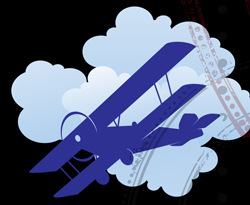 Fly into Sacred and Profane’s 40th season with a secular holiday concert about the night sky. This ethereal program will feature music by Monteverdi, Mendelssohn, Brahms, and Alfvén. We will also sing works by several contemporary composers, including Steven Stucky and Stacey Gibbs from the United States, Ola Gjeilo from Norway, and Karin Rehnqvist from Sweden. We are especially excited about Ēriks Ešenvalds, the young Latvian composer who has taken the choral world by storm, and we will be performing his moving Stars for choir and water-tuned wineglasses, in addition to other great works. Members of Sacred and Profane will be singing in a concert celebratingLou Harrison's centenary. In addition to several other signature works by Harrison, the concert will feature a performance of "La Koro Sutro," the Esperanto rendition of the fourth century Buddhist text "The Heart Sutra." The ensemble will feature singers from several Bay Area choirs, The William Winant Percussion Group, and will be conducted by Nicole Paiement, who has recorded a generous selection of Harrison's music. Sacred and Profane sings the words of great English poets William Blake, Christina Rossetti, and others. We will also present Jan Sandström’s setting of Landskap med solar by the Swedish poet Tomas Tranströmer, who won the Nobel Prize for literature in 2012 and died in 2015. This exciting concert will also include works by Belgian composer Rudi Tas and our own Will Raymer. In this concert we will also celebrate the life of Lou Harrison, the renowned Bay Area composer who died in 2003. In collaboration with the East Bay ensemble Thingamajigs, we will present a new work in the style of Lou’s compositions for choir by Edward Schocker, as well Lou’s work Mass for St. Cecilia’s Day. This concert will coincide with Lou’s 100th birthday on May 14, 2017. The works of the “Bard of Avon” have inspired generations of composers to create some of our most charming choral works. In the second concert of our season dedicated to poets, Sacred and Profane explores the verse of the master. We will sing Shakespearean texts set to music by Thomas Morley, Amy Beach, Ralph Vaughan Williams, Jaakko Mäntyjärvi, Frank Martin, and others. 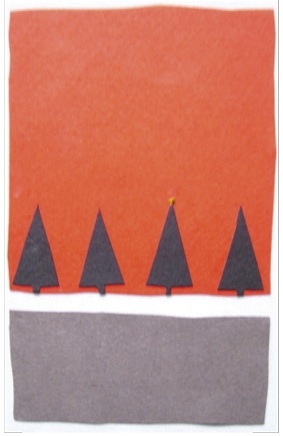 Sacred and Profane recreates the BBC Radio 1944 Christmas Eve Broadcast, including poetry read by Esther Mulligan. Featuring poems by Cecil Day-Lewis, Edith Sitwell, and W.H. Auden, and music by Benjamin Britten, Michael Tippett, Herbert Howells, and others. This exciting concert will also include the US premiere of Karin Rehnqvist’s When I close my eyes, I dream of peace and the world premiere of a work commissioned from our own James Tecuatl-Lee, with support from our donors and the East Bay Fund for Artists at the East Bay Community Foundation. Revel with Sacred and Profane as we sing two masterworks of the English a cappella canon. We will begin with William Byrd’s sixteenth-century Mass for Five Voices, a transportive masterpiece that is among the most poignant works of the Renaissance era. The program will also include Ralph Vaughan Williams’ mystical Mass in G Minor. Composed in 1921 for unaccompanied double chorus and soloists, this Mass is considered one of the greatest works of English polyphony written since Byrd’s time. Celebrate with Sacred and Profane as we perform several settings of this inspiring Christmas text, as well as other songs of the manger, the lamb, and all the the animals of the holiday story. Our program will feature works by Victoria, Tavener, Conte, Lauridsen, Rehnqvist, Higdon, and more! Soar with Sacred and Profane as we sing songs of birds, insects, and all things that take tothe sky. Our program will feature classic songs of flight such as Janequin’s Le Chant des Oiseaux, Gibbons’ The Silver Swan, and Stanford’s The Blue Bird, as well as works by Monteverdi, Mendelssohn, and Hindemith. In the contemporary vein, we will present Sami Joik, a piece written by Jan Sandström in the style of the folk music of Lapland, as well as Eric Whitacre’s thrilling Leonardo Dreams of His Flying Machine and other fanciful works. Warm up to songs of love with Sacred and Profane as we indulge in music celebrating Valentine’s Day, from Palestrina’s sensual Song of Songs to Lauridsen’s exciting Madrigali: Fire Songs. Our concert will also feature shorter gems to swoon to, including Lassus’ Bonjour mon coeur, Lundvik’s Som ett blommande mandelträd, Barber’s The Coolin, Whitacre’s Water Night, and more. Sink into the heart of the winter season with Sacred & Profane as we revel in the rich harmonies of Eastern Europe music for the holidays. Our diverse program will feature the familiar and the rarely heard: from the florid chant-based works of Russian composers Rachmaninoff and Chesnokov to the folk-influenced works of Armenian composers Komitas and Khorentatsi, from the mix of West and East in the music of Hungarian composers Kodály and Bárdos to the modern innovations of Górecki and Dychko. Our concert will also include arrangements by the popular local Balkan women's chorus Kitka, and much loved Ukrainian Christmas carols, including the original Carol of the Bells. The Choir as a Contemporary Instrument: A Commemorative Concert for Eric Ericson The Swedish choral conductor Eric Ericson (1918-2013) was arguably the most important choral conductor of the 20th century. In the 1930s and beyond, he cultivated some of the finest choirs in the world. These choirs were among the first choral ensembles to study the performance practice of Renaissance polyphony while also meeting the challenges of virtuosic music composed specifically for them. We will sing music that Ericson championed during his career, from many eras and across the globe, including works by Morley, Monteverdi, Bach, Debussy, Barber, Sven-David Sandström, Alfvén, and others. Music of the Netherlands From the time of the early Renaissance Netherlandish School to the contemporary era, composers of the Netherlands have contributed to an excellent choral tradition. Join us as we sing the polyphonic delights of Renaissance composers such as Sweelinck and Clemens non Papa along with modern choral cycles by Herman Strategier and Rudi Tas, as well as traditional folk music from the Netherlands. Benjamin Britten Holiday Concert Celebrate with Sacred and Profane the centenary of one of choral music’s greatest masters, Benjamin Britten! Britten gave the world a rich array of music for the holiday season, including A Boy Was Born, Hymn to St Cecilia, and many more miniature masterpieces. In addition to our regular concert series listed below, we will sing Hymn to St Cecilia for a special Britten Birthday Bash on St Cecilia Day, November 22nd, 8 PM, at the Community Music Center. This special concert will also feature pianists Sigrid Sheie and Allison Lovejoy, cellist William Skeen, and others. In the last several years, Sacred & Profane has championed the rich choral tradition of Sweden and its neighboring countries. In May, we will continue to sing some of Scandinavia’s most beautiful and inspiring music, including a number of works based on the rich folk music of the region. Our program will feature music from all five Scandinavian countries, including Grieg’s lovely Four Psalms for choir and baritone, Leifs’ moving Requiem, Mäntijärvi’s delightful Four Shakespeare Songs, Sixten’s Peace for the Victims of the massacre in Norway in 2011, and two pieces by one of our favorite composers, Karin Rehnqvist. Join Sacred and Profane as we celebrate the diversity of Jewish Choral Music. We will sing sacred and secular music of the Jewish people from the seventeenth- through the twentieth-centuries, including folksongs in Yiddish, Ladino, and Hebrew, and music by such composers as Salamone Rossi, Kurt Weill, and Shulamit Ran. We will feature music that spans the emotional gamut of Jewish experience, from works commemorating the tragedy of the holocaust to celebratory dances. The Spiritual Minimalist composers Arvo Pärt, John Tavener, and Henryk Górecki have won the dedication of listeners of all sensibilities, including lovers of popular music, early music aficionados, and followers of the avant-garde. All three of these composers turned to sacred music at a time when modern composers frequently rejected sacred music for secular influences, creating music that is meditative, hypnotic, and gently repetitive. Join Sacred & Profane as we sing the moving music of these important composers, as well as the music of one of their Medieval inspirations, Hildegard von Bingen. Our concert will include celebrated pieces such as Pärt’s Magnificat, Tavener’s The Lamb, and Górecki’s Totus Tuus. As Asian spirituality and culture have grown in popularity in the Western US and as the Asian communities in California have grown, many composers have begun to explore melding Western and Asian influences in their music. In this exciting concert we will join together with the UC Berkeley Chamber Chorus under the direction of Chanticleer’s Matt Oltman, University of San Francisco’s Classical Choral Ensembles, and the William Winant Percussion Ensemble to feature several Pacific Rim works. Our program will include pieces by Taiwanese composer Yu-Hui Chang, Chinese composer Chen Yi, and Canadian composer Brian Tate. The concert will conclude with the 40-year anniversary performance of Lou Harrison’s setting of the Buddhist Heart Sutra, La Koro Sutro, accompanied by a gamelan-inspired percussion ensemble. Please note that the Berkeley Art Museum concert on May 25th will feature only La Koro Sutro from this program and other non-choral music by Lou Harrison. We’re excited to welcome back previous Sacred & Profane conductor Marika Kuzma to conduct this concert. © Sacred & Profane Chamber Choir, all rights reserved.